« To the Moon, 4 a.m. 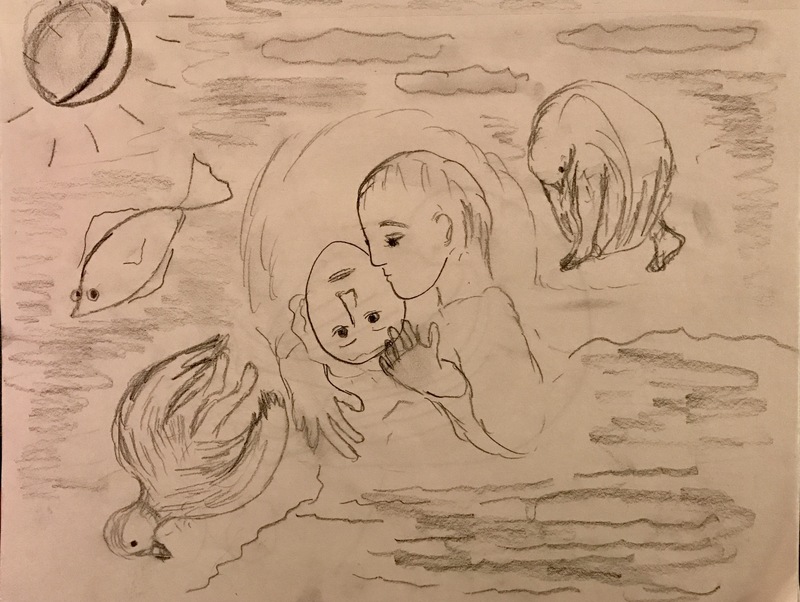 I have not felt much like writing poetry in the last few months, but here is a drawing in pencil that I post in response to Brendan’s challenge on Real Toads to write, among other things, of home in a time of refugees. ps –all rights (such as they are) reserved. This entry was posted on March 19, 2017 at 8:49 pm and is filed under drawing, Uncategorized. You can subscribe via RSS 2.0 feed to this post's comments. Hi Karin — There’s a tao in the pair in the middle — the homeless one upside down and the one who welcomes the other into their home. An ancient law of hospitality we have forgotten making our comfort and safety our god. The bird with the human feet to the right is burdened, the one to the left free to float on. The embrace is all. There’s faith here. Thanks. ah, but I think you could post anyways, K. after all, picture / 1000 words, and all. your drawings are always eloquent, and in themselves invite the viewer to examine how they relate to the prompt. here so, the inverted face, the fallen, as it were, fish and bird and bird/person ask us to consider why they are so stationed.